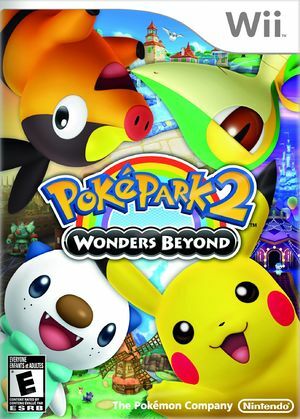 PokéPark 2: Wonders Beyond (ポケパーク2 ＢＷ ビヨンド・ザ・ワールド, Poké Park 2: BW - Beyond the World) is a Pokémon game for Wii, and the sequel to PokéPark Wii: Pikachu's Adventure. It features Pokémon species from all 5 generations. The graph below charts the compatibility with PokéPark 2: Wonders Beyond since Dolphin's 2.0 release, listing revisions only where a compatibility change occurred. 3.0-362 Windows 7 Intel Core i7-720QM NVIDIA GeForce GT 310M Crashes starting the game after selecting a save file with multiple errors relating to writing on certain addresses.